Before the Molson Amphitheatre was built in 1995 there stood the Ontario Place Forum. 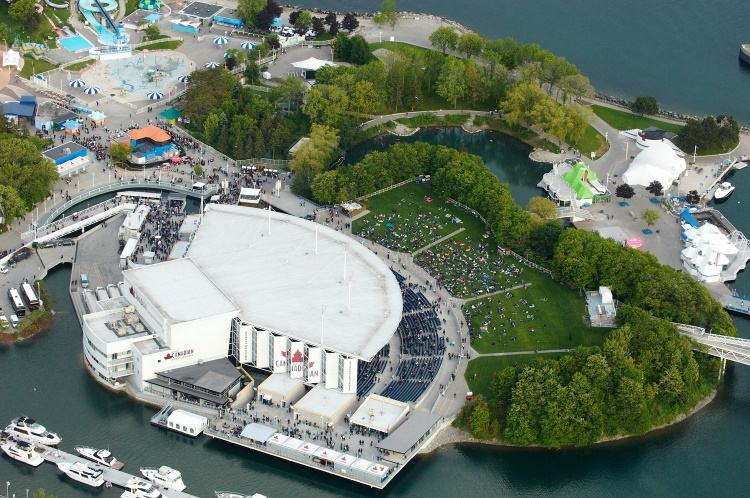 Both venues are/were part of the Ontario Place Entertainment Complex. The area was built in 1971 on the Lake Ontario waterfront. The whole complex is built on 3 man-made islands connected by bridges to the mainland and there are many rides and attractions, including the world's first permanent IMAX theatre.